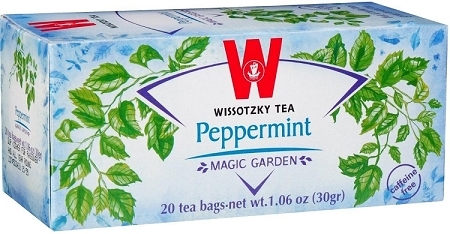 The blend contains more than thirty different types of peppermint leaves. The infusion is refreshing and has a rich aroma and is intended to be served either hot or cold. Medical knowledge attributes medicinal qualities to peppermint of relaxing the digestive system. Peppermint is suitable for external use in the treatment of headaches because it contains a rich selection of aromatic oils which give off a refreshing fragrance and a cool feeling and ease the pain.